On this page I'll include biographical information about Steve McPherson, Jenny Bicks, and others. I may from time-to-time add the bio of a cast member. It also includes ABC contact info. As president of ABC Entertainment, Stephen McPherson has been the driving force behind the network's primetime comeback, with a strategy focused on quality content and a willingness to rebuild and redirect key units, including drama, alternative, development and marketing to support and deliver that content. Mr. McPherson assumed his current role in April 2004 and has led ABC into a new era. This past fall, without the benefit of "Monday Night Football," ABC won the November Sweep with the key demo of Adults 18-49 for the first time in seven years. Continuing the momentum, in May ABC garnered its most-watched May Sweep in six years and was the only network to show year-to-year increases in both Total Viewers and Adults 18-49. Under Mr. McPherson's guidance, ABC became a primetime force on Thursday nights and launched the break-out hit of the 2006 season, the critically acclaimed and Emmy-nominated "Ugly Betty." "Ugly Betty" is the most-watched new Fall comedy of the season on any network with both Total Viewers and Adults 18-49. The show's success is a result of Mr. McPherson's winning strategy for the season, implementing strong and innovative marketing campaigns and using the promotional platform of returning hit shows to provide a strong launch for freshman series. For the 2004-05 season, his first at ABC Entertainment, Mr. McPherson leveraged his studio success to anchor ABC's primetime lineup with two shows he developed at Touchstone, "Lost" and "Desperate Housewives." Spurred by the victory of these new series, as well as the immense popularity of "Extreme Makeover: Home Edition," ABC achieved the largest season-to-season increase in viewers among the key young adult demographic of any major network in the last 25 years. Mr. McPherson continued the momentum into the 2005-06 season, when another of his Touchstone projects, "Grey's Anatomy," became the nation's No. 1 show and the new alternative series, "Dancing with the Stars," became a cultural phenomenon. Under his leadership, ABC delivered improved ratings across the primetime schedule for the second season in a row. Mr. McPherson reports to Anne Sweeney, co-chair of Disney Media Networks and president, Disney-ABC Television Group, and is responsible for all development, current programming, late-night, marketing and scheduling for the Entertainment division of the ABC Television Network. 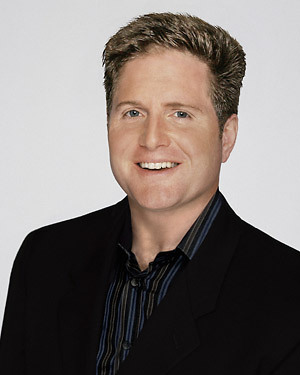 Prior to joining ABC, he was president of Touchstone Television, where he guided Touchstone to the three best development seasons in the company's history. In that role he led the development and production of the division's network primetime series, specials and films, and was responsible for all day-to-day operations of the studio. He originally joined Touchstone as an executive vice president of the studio. During his tenure at Touchstone, Mr. McPherson developed several other successful series for the network, including "Alias," "8 Simple Rules," "According to Jim," My Wife and Kids," "Hope & Faith," "Less than Perfect," "Once and Again" and "The Job." He and his team also developed the successful "CSI" drama franchise and the award-winning alternative series "Amazing Race" for CBS, as well as NBC's critically acclaimed comedy "Scrubs," and "Monk," which became a hit for the USA network. Productions, where he supervised both comedy and drama series, including "My So Called Life" and "The Commish." He also served as director, Current Programming for FOX, where he helped launch "Martin" and "The Ben Stiller Show." He began his industry career as director of Development for Witt-Thomas-Harris Productions. Mr. McPherson has been recognized for his achievements and honored with several awards, including the Directors Guild of America's 2005 Diversity Award, honoring his outstanding commitment to and leadership in the hiring of women and minorities in DGA categories. This is only the fourth time that the Award has been bestowed. This past August he received the Academy of Television Arts & Sciences Committee on Diversity's first Televisionary Award in recognition of his commitment to diversity both on-screen and behind the scenes in the 2004-05 television season. In January he received the Executive of the Year Award for 2005 from the Caucus for Television Producers, Writers & Directors for his contribution to the industry. He was also named the 2006 Television Showman of the Year at the International Cinematographers Guild 43rd Annual Publicists Awards in March, in recognition of his outstanding stewardship of the network in 2005. Mr. McPherson's efforts extend beyond the television industry. In addition to being honored by the Los Angeles Free Clinic at its Annual Dinner Gala in 2005, he is also an active member of its board. Mr. McPherson is a graduate of Cornell University, with a BA in Political Science.